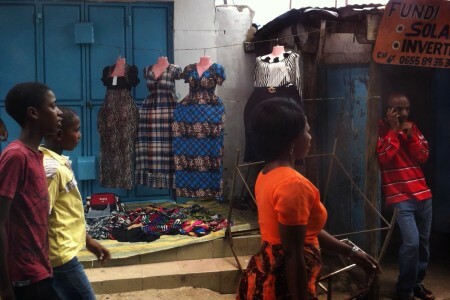 Buying used items in Dar es Salaam is a good way to fill your house if you don’t have a huge shipping allowance when moving to Dar — and if you do it right, it won’t totally break the bank. But be warned: some people have got it into their heads that a half-used box of expired tea is worth more than what they bought it for simply because they brought it with them in their luggage — despite you being able to buy the same tea (unopened and unexpired!) at the Village Supermarket for half of their asking price. Same goes for IKEA products: be prepared to have your jaw drop when you see what people charge for prefabricated college dorm shelving. Let me tell you right now, you’re better off finding a good carpenter and having them make something out of real wood. So make sure you’ve walked through the stores here and know what’s available and at what price before you buy something used for more. Despite Tanzania having a culture of haggling and bargaining for better deals, most expats will get quite upset with you should you dare suggest a discount is in order. Even at crazy prices, things don’t tend to stick around very long at all, so if you see something you want — be sure to claim it right away. It should go without saying, but if a deal is too good to be true, it probably is. Watch out for fakes and scammers and don’t pay for something you haven’t seen.